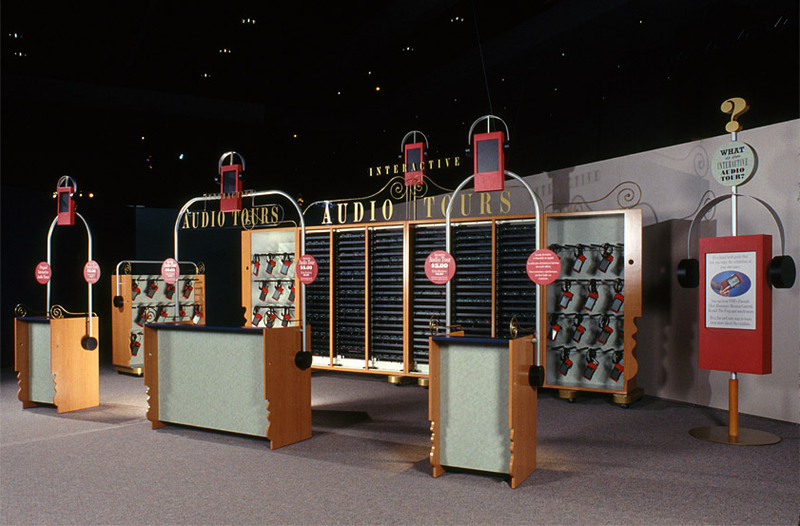 The America’s Smithsonian Exhibition celebrates the 150th birthday of the venerable institution. 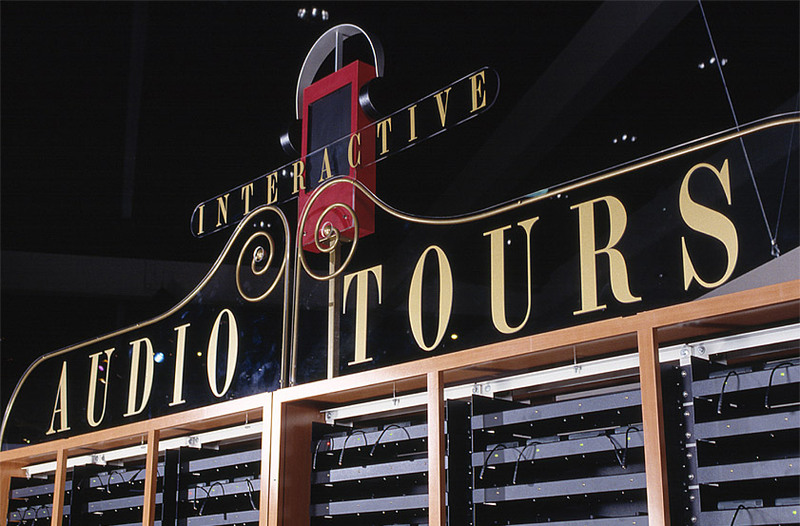 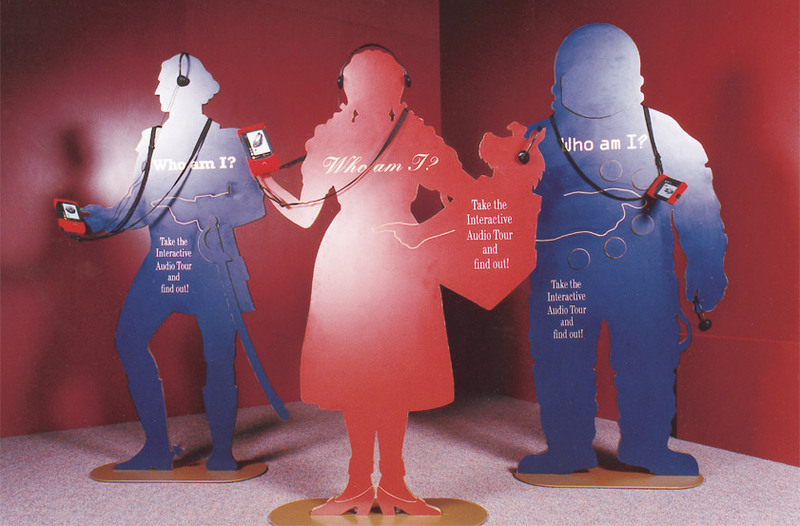 Our solution uses life-size historical figures from the exhibit to demonstrate the handheld interactive audio tour units in use, while inviting visitors to experience the exhibit at their own pace. 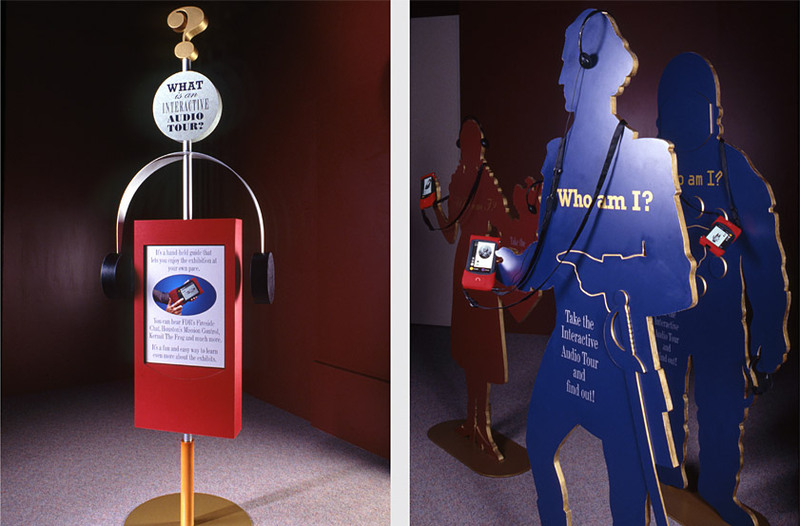 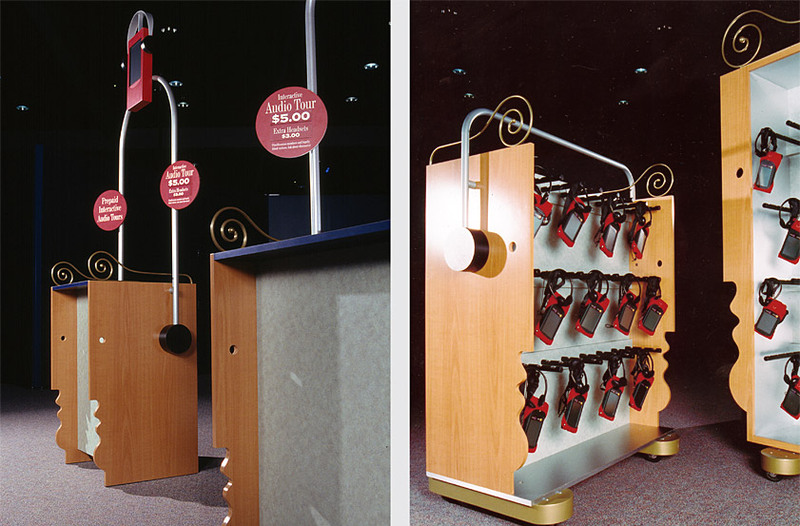 Whimsical human profiles are integrated into the reception counters, recharge racks, and return carts to provide a human face to the technology and convey the device’s ease of use in an engaging manner.